Beautiful walnut and oak trivets with delicate carvings. 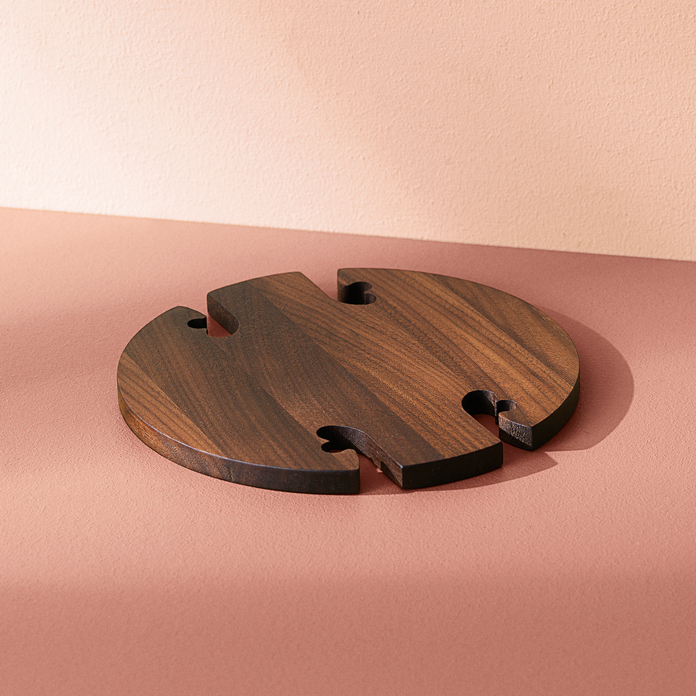 Trivets were originally designed in the 1970s by the highly acclaimed Swedish designer, Gunnar Cyrén as part of the Gourmet Wood range, and are now being manufactured again by Warm Nordic. Their harmonious design and consummate quality make these wooden trivets perfect for both everyday meals and more festive occasions. The carvings lend the trivets a touch of character and have a life of their own in the form of swaying trees, sprouting hearts and abstract animals, depending on which way you look at them. Gunnar Cyrén's Trivets also look attractive on the kitchen worktop, if you can't bring yourself to conceal them in a drawer, or on a window ledge as a decorative element with a single candlestick, a plant pot or some of your favourite jewellery. Choose from a variety of exclusive types of wood. Trivets were originally designed in 1972 by Gunnar Cyrén, famous throughout the world for his artistic glass creations and silver designs. 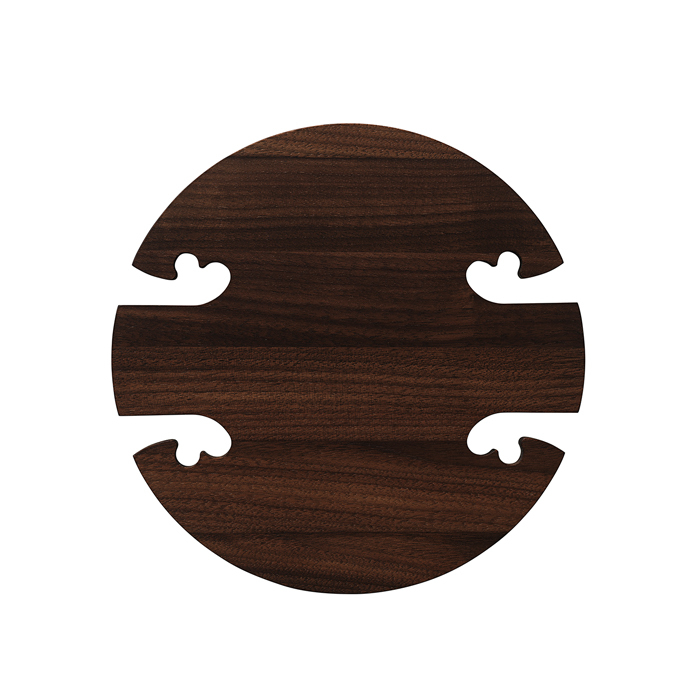 Trivets were originally made in teak as part of Cyrén's Gourmet Wood range of utility designs for the kitchen and for table setting. They are now being re-launched by Warm Nordic. The outstanding feature of Trivets is their harmonious design, reflecting Gunnar Cyrén's life-long quest to create innately beautiful utility items. Even though he reverted to glass in the 1970s and established his own silversmith studio, Gunnar Cyrén continued to design utility items. ‘Trivets’ have been specially selected for the Warm Nordic range as a tribute to iconic Nordic design that invests modern décor with invaluable diversity and depth. Every single day of his life, the great Swedish silversmith, glass artist and industrial designer, Gunnar Cyrén sought to reinvent beauty. Gunnar Cyrén’s work alternated particularly between silver and glass in a vibrant symphony of creative passion, joy of colour – and humility. He was constantly true to the material in his quest for authenticity, and constantly true to the actual craftsmanship in his infinite experiments in the legendary Orrefors glass workshop – and from 1976 in his own silver workshop. Gunnar Cyrén’s diverse life’s work featured everything from artefacts and ceremonial objects to beautiful utility items, created out of a fundamental belief that the arts and crafts, by their very nature, should convey beauty.